1. 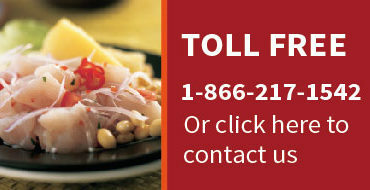 Elemento: this is a brand specialized in chocolate beens from the Amazon region with several chocolate tablets. 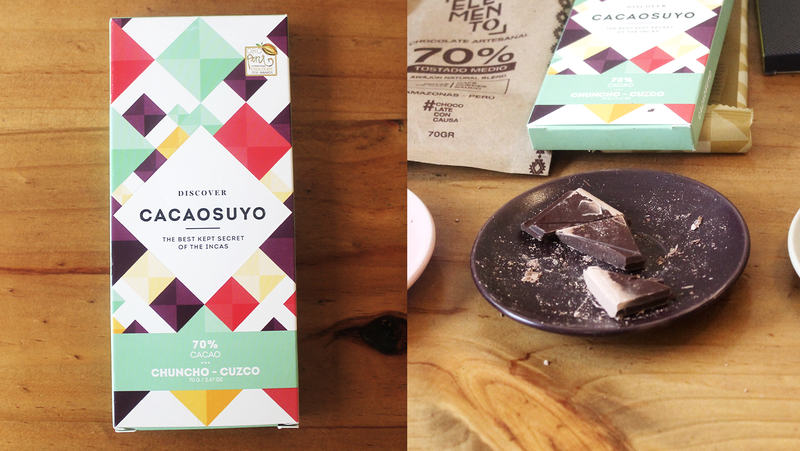 We tasted the 70% cocoa tablet with an intense fruit taste with coffee and nuts notes. The flavor of this tablet is not too strong neither too delicate, and it is perfect for people who are tasting chocolate for the first time. 2. 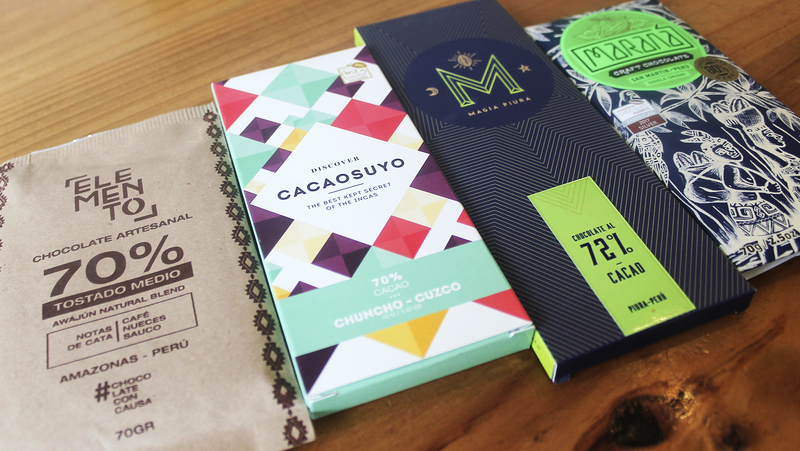 Cacaosuyo: this chocolate brand has been recognised in 2015 as one of the best brands in The International Chocolate Awards. Initially the goal of the brand was to be the perfect chocolate to be export abroad, but due to the excellent quality of the product is today well placed in the domestic market as well. This chocolate is from Cuzco region, especifically from Chuncho, an area located nearby Machu Picchu where the best chocolates variety of Peru grows. This chocolate comes in different tablets, all with intense flavors. We tasted the 70% cocoa drk chocolate tablet. 3. 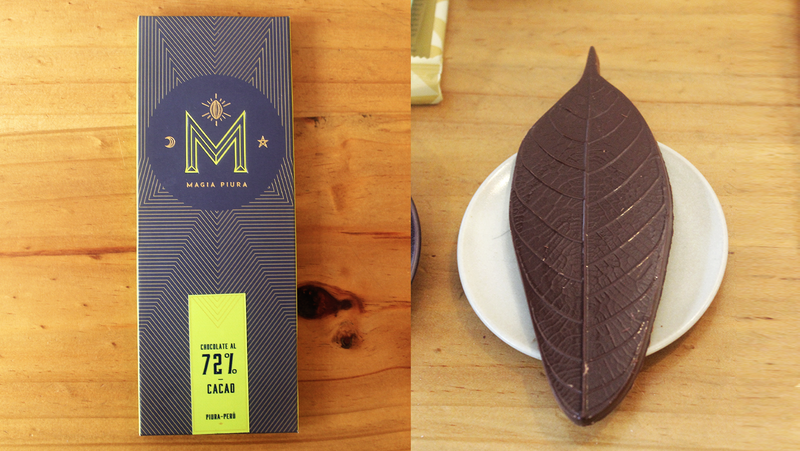 Magia Piura: this chocolate brand is from Piura, in the north of Peru. The packaging is beautiful and original, considering that the tablet comes in a chocolate been shape. 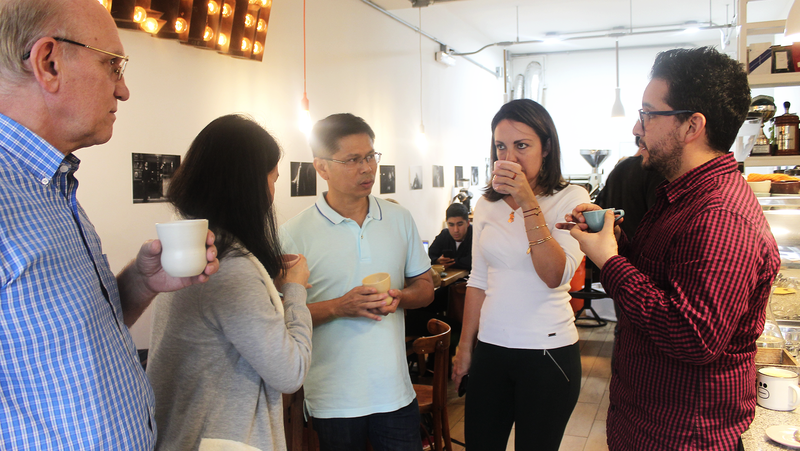 We tried the tabled with 72% cocoa, which has an intense flavour and is ideal for pastries. They also have a 42% cocoa milk chocolate tablet with lucuma flavor. 4. 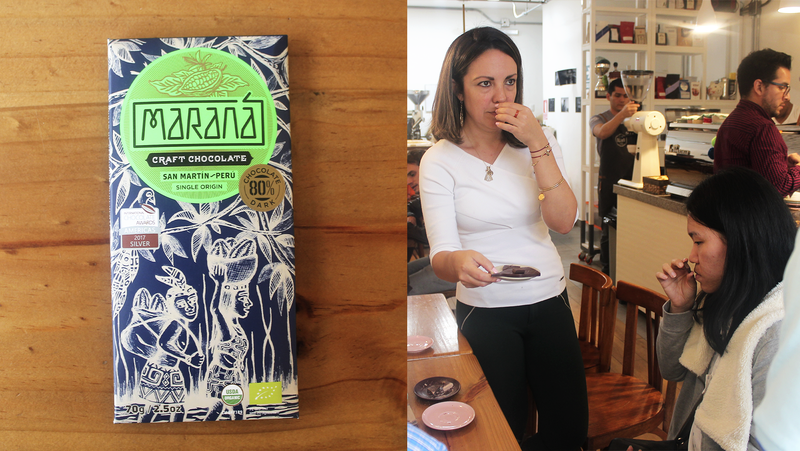 Maraná: this craft chocolate from Peru is made “Bean to Bar”, which means that all the production process steps from the been to the tablet is followed very carefully. 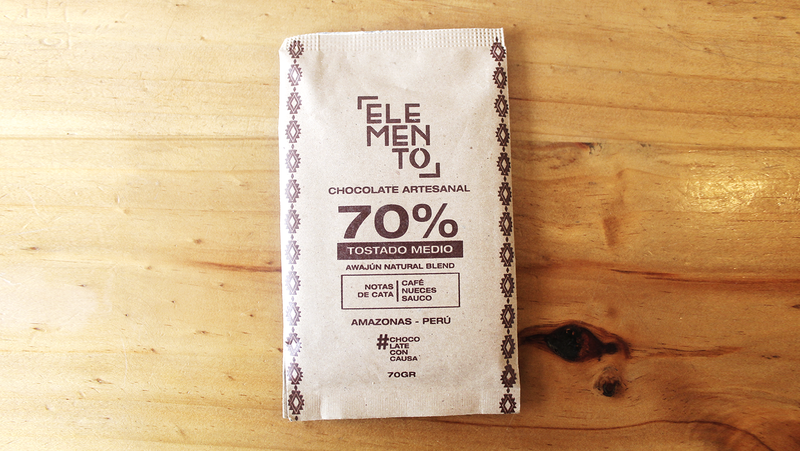 This chocolate is produced with the finest organic ingredients from Piura, Cusco and San Martin regions. A part from the tablets, they also have a special tasting package which includes: 80% cocoa dark tablet from Cusco, 80% cocoa dark tablet from Piura, 80% cocoa dark tablet from San Martin, 70% cocoa dark tablet from Cusco, 70% cocoa dark tablet from Piura and 70% cocoa dark tablet from San Martin. This is perfect for dark chocolate lovers. They also have milk chocolate tablets, such as the 50% cocoa tablet from Piura, the 50% cocoa tablet from Cusco and the the 50% cocoa tablet from San Martin. We tasted the 80% cocoa dark tablet from the Amazon region during our activity. 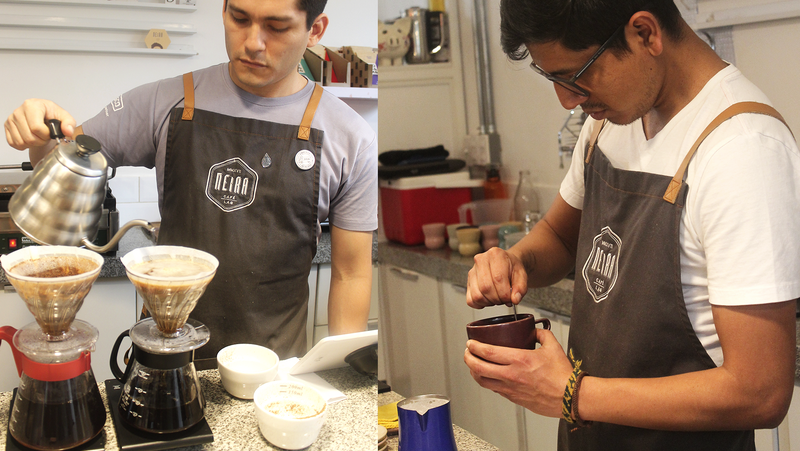 After the chocolate tasting, we continued with a little presentation on coffee preparation by Harrison Neyra from Neira Cafe Lab. 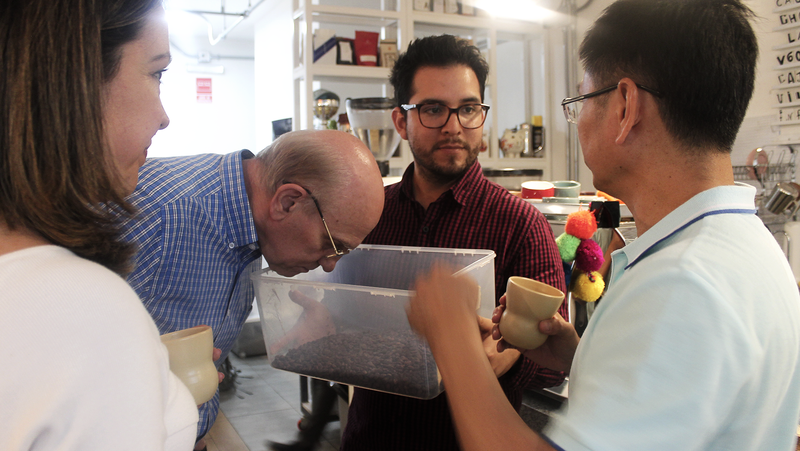 To prepare coffee he uses a conic-shaped filter, which is actually the easiest method, but it is extremely accurate to brew the coffee. 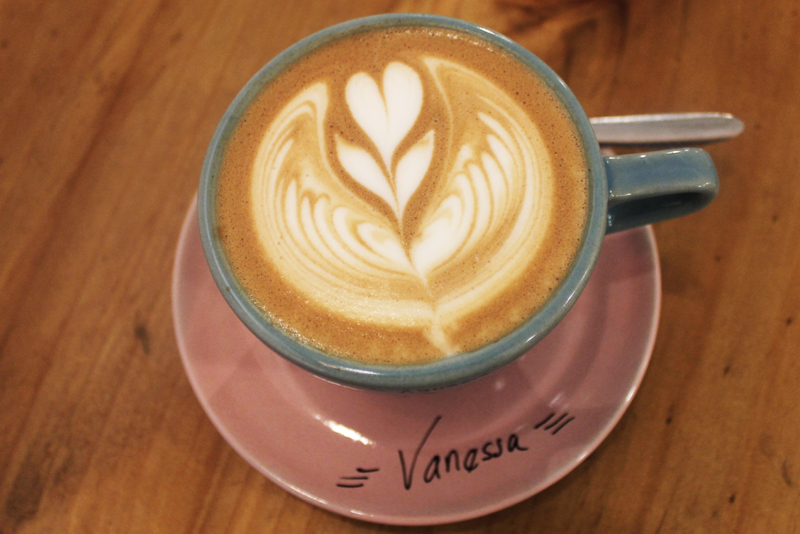 Thanks to this method the coffee has the perfect balance between sweetness and sourness, and it has a very pleasant taste. 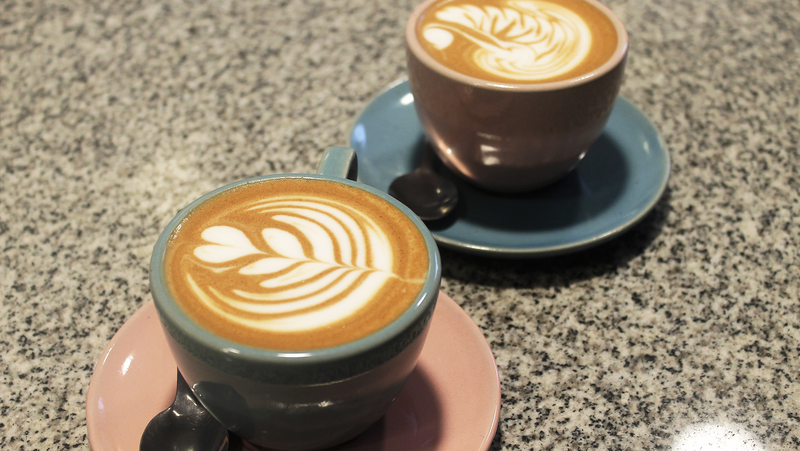 So after tasting chocolate, we tasted different kinds of coffee, including the famous “cacaoccino”, which is a must try if you stop by Neira Cafe Lab, which can be served hot or cold.